A few partners and friends have created apps using our bias ratings. 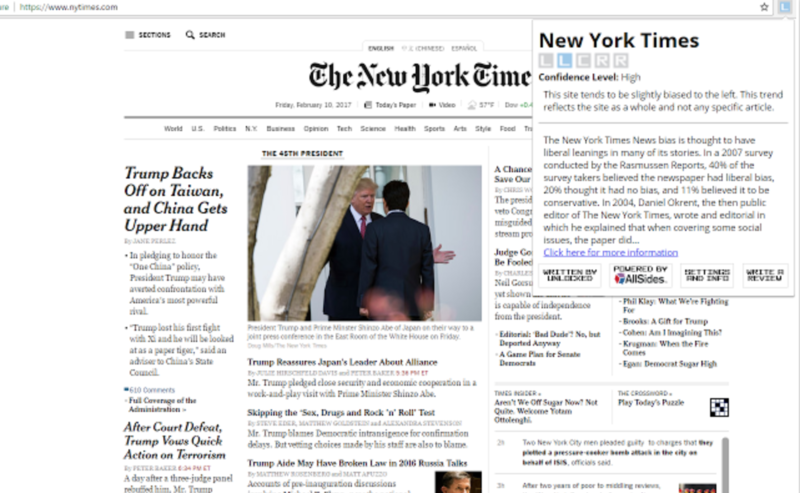 For a great Chrome extension, try Bias Finder, which uses AllSides bias ratings. 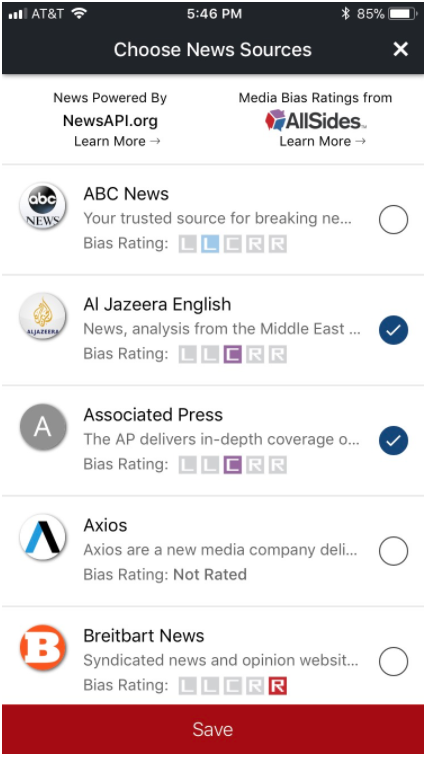 If you’re visiting a news site, you can check Bias Finder to see how AllSides has rated it immediately. Plug-ins available for Chrome, Firefox, Opera, Safari, & IE. A great mobile app (available for both iOs and Android) is Capitol Call. The main reason to download Capitol Call is to have almost direct access to your local representatives as well measures they are voting on. The app also allows you to customize a news feed with some of our rated sources and helps you to make sure you’re maintaining a balanced feed. We are considering creating our own apps and extensions but until we do, enjoy these. And send us feedback if you have any suggestions or feature requests.